After launching features to book cab even in poor network conditions, Ola has gone two steps further to simplify cab booking and boarding experience for customers. Ola, the cab-aggregator has launched two new features, Just in Time Notifications and Rich Notifications to enhance the customer experience. Based on real-time stream processing, the Just in Time feature analyses user’s cab preference and in case the user experiences non-availability of cabs, a push notification is sent on cab availability as soon as a cab gets available, even when the user has moved away from the Ola app. The user then just needs to tap on the push notification, which will lead him to the Ola app and complete the booking within seconds. Another variation of the ‘Just in Time’ feature informs users about peak pricing coming to end within 15 minutes of the user moving away from the booking confirmation screen on experiencing peak pricing. 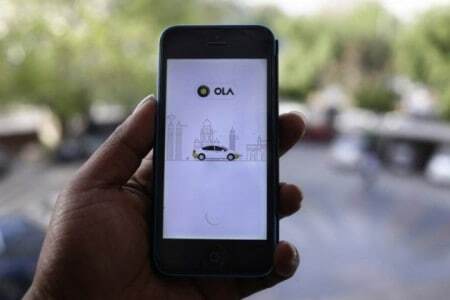 In the case of Rich Notifications, once the user books a cab from the Ola app, the user will receive a push notification, with the driver photo, contact details along with car model and number. The notification window will be constantly updated with driver’s ETA and customer’s boarding status, without having to open the app repeatedly. As soon as the customer boards the cab, Ola’s Emergency SOS button is also displayed as part of the notification. The SOS feature sends an alert to the verified emergency contact with the customer’s CRN, user details (name, email id and contact number), the location where the alert was raised, cab and driver details. Ola has also partnered with BMW to let customers travel in complete luxury at the click of a button.